Ten Speed Press, 9781607744603, 140pp. Devoted Sriracha addicts know that this fiery red condiment adds the perfect spicy kick to their favorite foods. But for those who want to take it to the next level, Randy Clemens shows how versatile this garlicky, pungent sauce can be when paired with the almighty veggie in everything from breakfast to dessert, and appetizers to entrées. These delicious plant-based recipes—from Stuffed Sriracha 'Shrooms, Sriracha-Cauliflower Mac 'n' Cheeze, and Cajun Quinoa Cakes with Lemon-Dill-Sriracha Rémoulade to Maple-Sriracha Doughnuts and Watermelon Sriracha Sangria—showcase an exciting range of fruits, grains, and veggies, without the processed fake meat found in many vegan recipes. 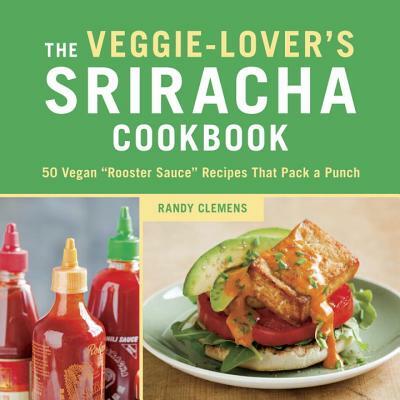 Featuring 50 flavor-packed, inventive combinations of vegetables and Sriracha (with notes on how to adapt them for a gluten-free diet), The Veggie-Lover's Sriracha Cookbook will take your rooster sauce obsession to bold, new heights. RANDY CLEMENS is the author of the best-selling Sriracha Cookbook and coauthor of The Craft of Stone Brewing Co. A graduate of the California School of Culinary Arts, Randy was previously an associate editor of Los Angeles magazine’s Digest blog and has written for numerous food publications including Gourmet, Saveur, Wine Enthusiast, Imbibe, Draft, Edible Westside, and BeerAdvocate. He lives in Southern California. Visit randyclemens.com and srirachabook.com for more information.